Mr. Berry is chair of the Business and Banking Law Department. A business counselor, he integrates the resources of the firm's practice areas to provide optimal service to the firm's clients. He counsels closely held businesses in a wide variety of matters including contractual negotiations and related litigation, shareholder and partnership formations and disputes, financing of business ventures, business acquisitions, mergers, joint ventures, strategic alliances, corporate governance issues and director and officer liability issues. Mr. Berry represents lenders and borrowers in structuring loans for asset-based credit facilities, real estate, leveraged buyouts, debt restructuring and tax exempt transactions through the NJ Economic Development Authority and the NJ Health Care Facilities Financing Authority. He also represents banks and financial institutions in financial workouts and loan restructurings, litigation to enforce lender's rights, bankruptcies and creditor proceedings. Mr. Berry also counsels clients involved in the formation of local community banks regarding the regulatory applications process and issues associated with raising necessary capital. 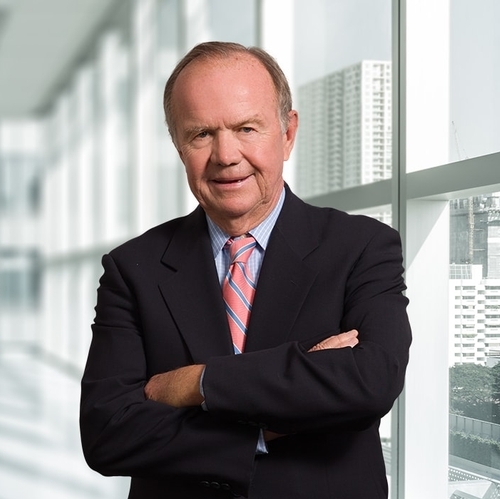 During more than 30 years of practice, Mr. Berry has participated in complex business litigation in state and federal courts. He advocates the establishment of litigation plans including the analysis of issues, the compilation of discovery and motion practice timetables, and the establishment of litigation budgets. Mr. Berry had been counsel to the NJ Medical Transportation Association for 30 years and is counsel to religious entities and not-for-profit organizations. Mr. Berry is Trustee Emeritus and immediate past Chairman of the Board of Trustees of Christian Brothers Academy. For 18 years, he was also a member of the Financial Advisory Committee of St. Rose High School, Belmar, the President's Council of St. Peter's College, Jersey City, and served 12 years on the Educational Advisory Council of the Roman Catholic Diocese of Trenton. Presently, Mr. Berry is a member of the Board of Trustees of Ladacin Network, formerly United Cerebral Palsy of Monmouth & Ocean County and is chairman of their audit committee. Named The Best Lawyers' 2019 Woodbridge Area Mergers and Acquisitions Law "Lawyer of the Year"
Named The Best Lawyers' 2016 Woodbridge Area Banking and Finance Law "Lawyer of the Year"
Named The Best Lawyers' 2015 Woodbridge Area Corporate Law "Lawyer of the Year"
"United States Supreme Court Decision Holding IRA's as an Exempt Asset in Bankruptcy"
"A Business Approach to Litigation: Facing Reality - Fewer Trials"